Cyprus has one of the richest and oldest historical traditions in the world, due to its strategic position in the Mediterranean. 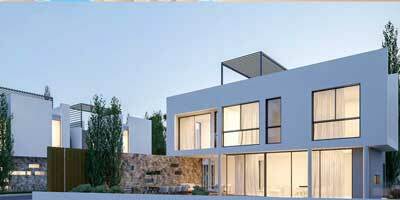 A thousand-year history that began already in the Paleolithic period in 10,000 BC. The first inhabitants were farmers and built the very first wells that history recalls. In the Bronze Age the first cities appeared, the extraction of copper began (the name of the island probably derives from cuprus - copper) and with the arrival of the Mycenaeans handwriting was introduced. In 2000 BC there were the first contacts with the Egyptians, who introduced futuristic techniques for those times. Between 1,300 and 1,200 BC in Cyprus architecture and agriculture began to flourish, especially with the production of olive oil. At the end of the Bronze Age, the island became part of the Hittite Empire. Around the year 1,000 BC, thanks to contacts with the Mycenaeans, fortified forts and cyclopean walls were built and, with the influence of Greek culture, the concept of the state-city or polis was introduced. In the course of 10 centuries Phoenicians, Assyrians, Egyptians, Persians, Alexander the Great and the Ptolemaics followed one another; this was the period of Hellenism and of the Greek alphabet. In 58 BC Cyprus became a Roman province and Christianity was introduced. After the division of the empire, the island passed under the dominion of Constantinople until 668 AD, when it was invaded by the Arabs. For 300 years the island is jointly governed by Arabs and Byzantines, something never seen before, until 965 when the latter conquered the whole island until 1185. In the twelfth century it was taken by the Crusaders and by Richard the Lionheart who sold it to the Templars, before being occupied by the Franks who founded the Kingdom of Cyprus. In this period Christians had the reins of political and economic power while the Orthodox Greeks were confined to the countryside. In 1230 with Frederick II of Swabia Cyprus becomes a feudal state and a commercial center among Europe, Asia and the Middle East, economically dependent on the Genoa merchants. In 1489 it was sold to the maritime republic of Venice before being conquered in 1571 by the Ottoman Empire, which remained there until 1869. At the beginning of 1800 there were the first signs of independence, supported by Greece, but also strong Ottoman reprisals began. A slow political change began and in 1869, when the Suez Canal was opened, Cyprus became one of the most strategic points in the world. And the British did not let them escape. In 1878 it passed underher Majesty's empire in exchange for military support for the Ottomans against Russia. 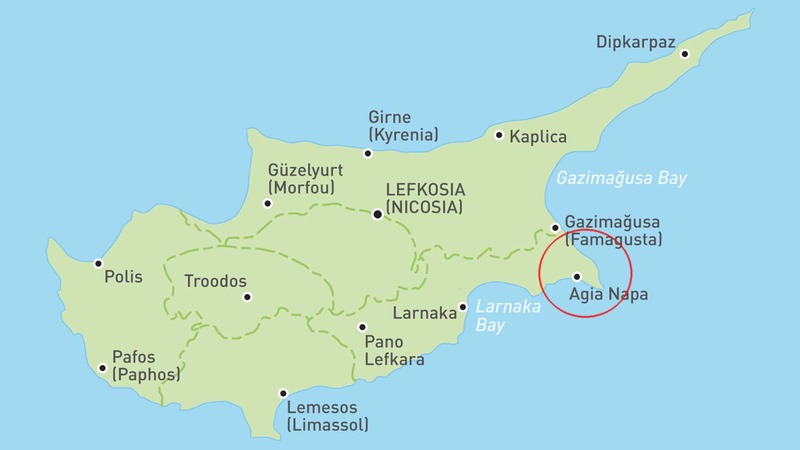 In 1925 it officially became an English colony but the desire for annexation to Greece with which it had very strong political, commercial and genetic ties is growing stronger. Only in 1960 it obtained independence, with Turkey, Greece and the United Kingdom as tutelary powers, with the latter leaving (still present) three military bases in Limassol, Dhekelia nad Agios Nicholaos. The island is theoretically united, in practice it is divided into two, on the one hand the Greek Cypriots, on the other the Turkish Cypriots. From the beginning there is a strong friction up to the coup of the Greek colonels in 1974. In a short time, however, the Turks disembarked on the island, militarily occupying about 36% of the territory and proclaiming the "Turkish Republic of Northern Cyprus", now only recognized by Turkey. 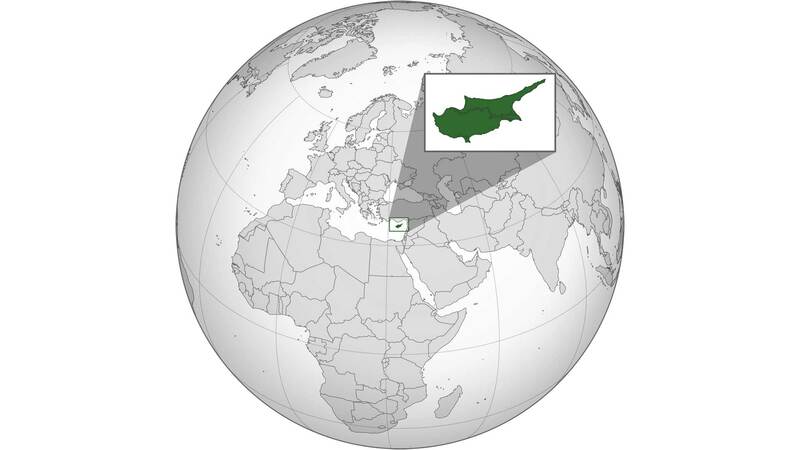 Officially the "Republic of Cyprus" with capital Nicosia is the only recognized one. Immediately they carried out the expulsion of all the Greek Cypriots in the region, about 80% of the population. The civil war that broke out caused the United Nations to create a buffer zone, still active today. Nicosia remains today the only capital divided into 2 by the "green line" and the last European wall. In 2004 Cyprus entered the U.E. and in the euro zone, which however was not introduced in the North. In 2012 the Greek economic crisis led to bankruptcy and to bankruptcy also Cyprus. Cyprus today has an economy that is slowly raising thanks to tourism, culture and the fact that yesterday as today the island is always a link among Europe, Asia, Africa and the Middle East.